One of the country’s leading sign manufacturers is putting staff through training to ensure mental health support is available for any employee who needs it. Gateshead­ based Astley – which designs, manufactures and installs signs for international brands such as BP, Esso, Texaco and Hilton – is committed to improving the health and wellbeing of its workforce, with mental health being a priority for the company in 2019. To support this, five employees from different areas of the business have undergone an intensive programme of training to become qualified ‘mental health first aiders’ to support their colleagues should they be experiencing any mental health issues. Support is entirely confidential and reassures staff help is available if or when they need it. 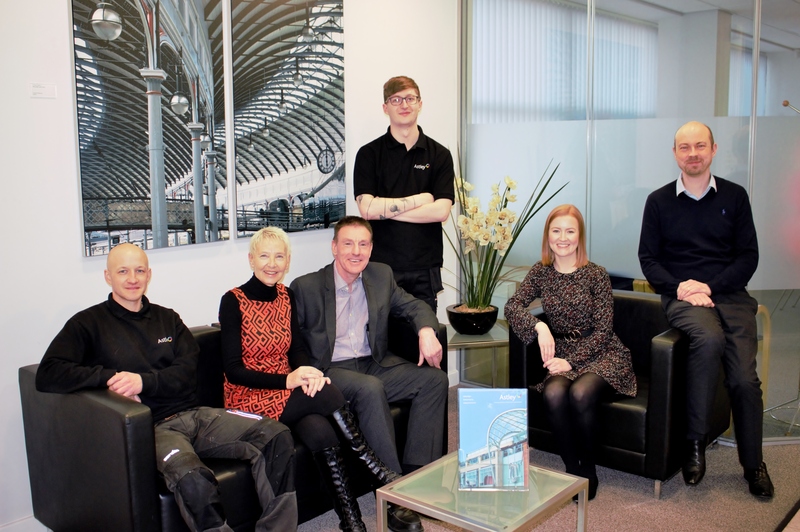 Astley is one of only six businesses in the North East to have mental health first aiders in place and to further support this initiative has linked to the Mates in Mind charity, which aims to raise awareness, address the stigma of poor mental health and improve positive mental wellbeing in the UK construction industry. Astley employs 145 people at its Team Valley headquarters and also has sites in Glasgow, Leeds and Kettering, following its acquisition of Sign of the Times. In late 2018, both Astley and Sign of the Times triumphed at the British Sign and Graphics Awards scooping the Rollout programme of the Year, Illuminated Sign of the Year, Craftsman Award and the Innovation Award. In addition, Astley Production Team Leader Ian Dixon was shortlisted for Young Signmaker of the Year. Along with international clients Astley also designs, manufactures and installs signs for national brands including Sainsbury’s, The Co-operative and Cancer Research UK as well as making the bespoke Great North Run sign which is displayed on the side of the Tyne Bridge to celebrate the national race. Other highlights for the company include the re-certification of their ISO 9001 and 14001 to 2015 standard, their certification to BE EN 1090 CE Marking and their commitment to the ongoing development of their workforce via their bespoke training programme.